Simon Banks is MD and the company has been in Barnes for 5 years. Simon has been living and working in the area for 26 years and as a result he believes that the company has specialist local knowledge, particularly in Barnes and East Sheen. 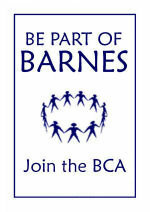 There are five agents in the office and one Saturday assistant, Michaela, who herself lives in Barnes. Both residential lettings and sales are handled. The lettings department is particularly strong and deals with relocation, corporate and individual lets. It also has good links with the Swedish school. The company has good community links sponsoring St Osmond's choir this year and the Barnes Common Warden in the recent past.